Two months ago vivo V7+ debuted in two colors - Champagne Gold and Midnight Black. 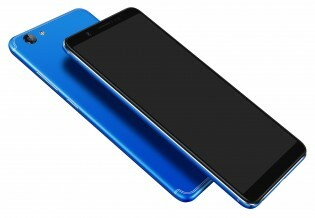 Today the company announced a third color option of the phone - Energetic Blue. 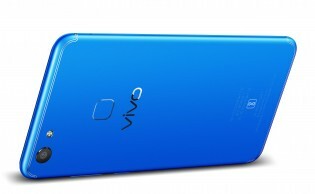 According to the company, the unique color option “complements the energetic personality” of the young vivo customers. The Amazon India-exclusive V7+ in Energetic Blue will be available for pre-order between November 10 and November 14. One day after that the actual sales begin at the price of INR21,990 (€286), which is the same as the other two color variants. The vivo V7+ arrived with a 24 MP front-facing camera and triple tray for two SIM cards and one microSD. The 18:9 ratio display is 5.99” in diagonal and has an HD+ resolution of 720 x 1440 pixels. On the inside, a Snapdragon 450 chipset is paired with 4 GB RAM and 64 GB internal storage.